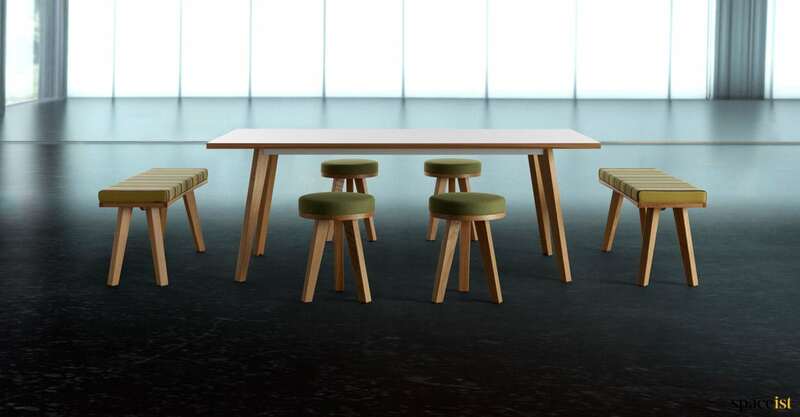 Meeting room table with a solid wood leg and edge with the option of a laminate or real wood veneer top. 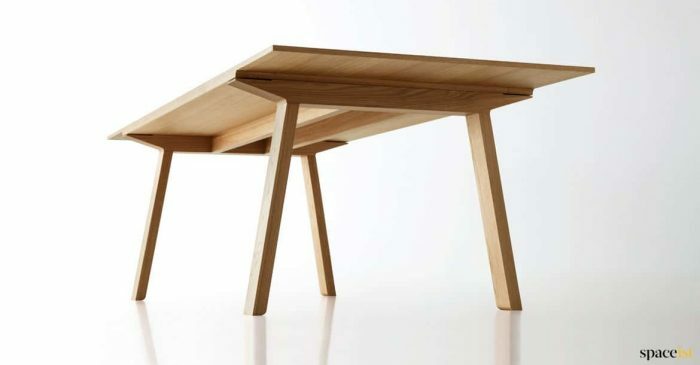 The laminate tops are more suitable for a high use environment and can be easily wiped down. 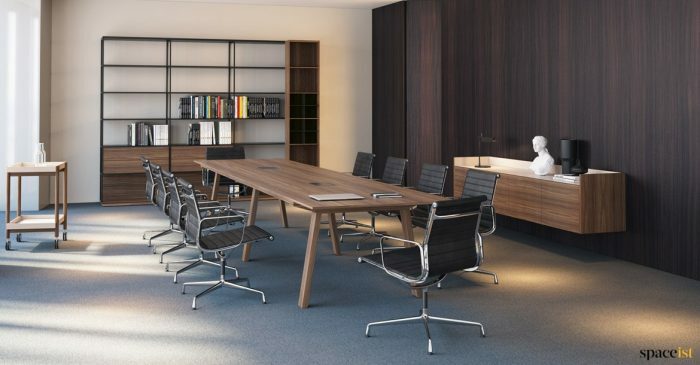 The real wood veneer is designed for a executive meeting room area. 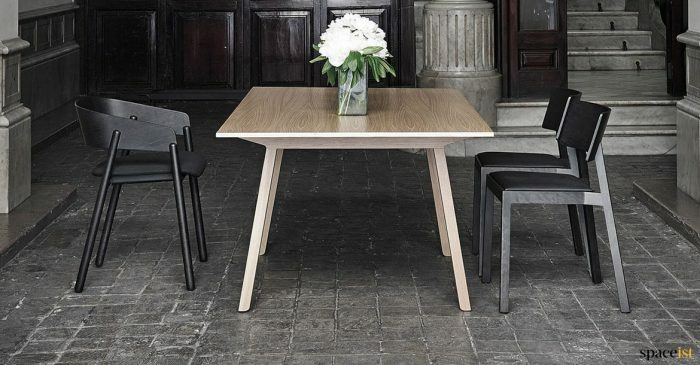 We would suggest the Babila chair or Noa chair to match this table. 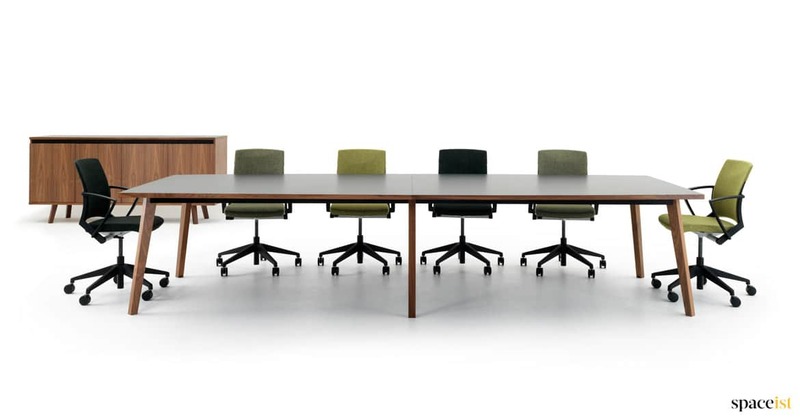 Modern high meeting table with a 2mm real wood veneer top and solid wood legs. 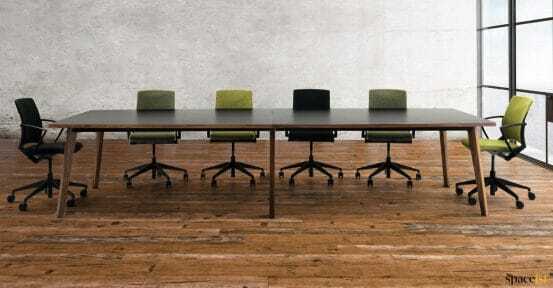 Choose from walnut, dark stained walnut, oak, whitened oak, walnut, ebony, dark grey & sienna grey. 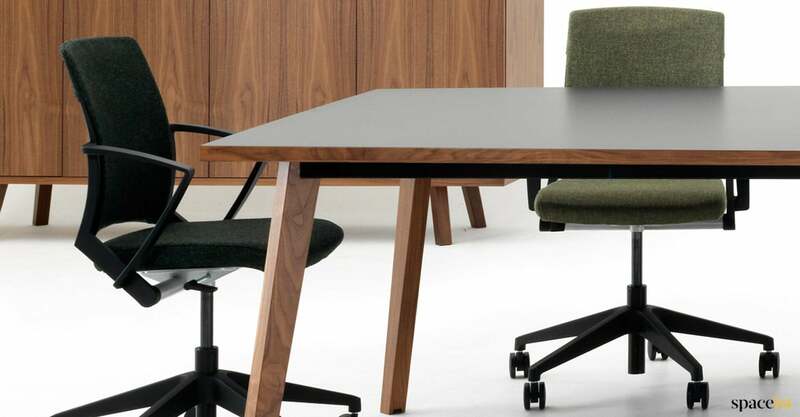 Modern wood boardroom table with a 2mm real veneer top & solid legs. 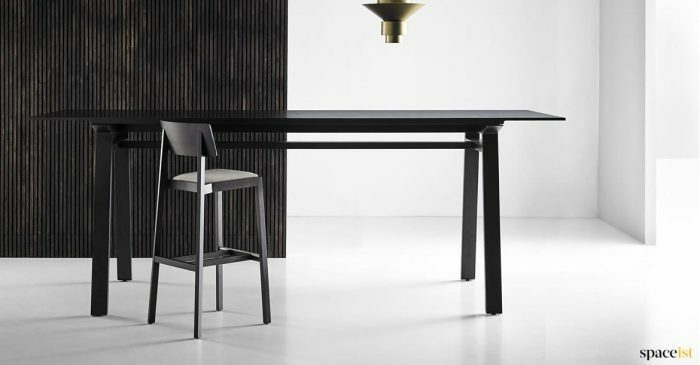 Choose from walnut, dark stained walnut, oak, whitened oak, walnut, ebony, dark grey & sienna grey. 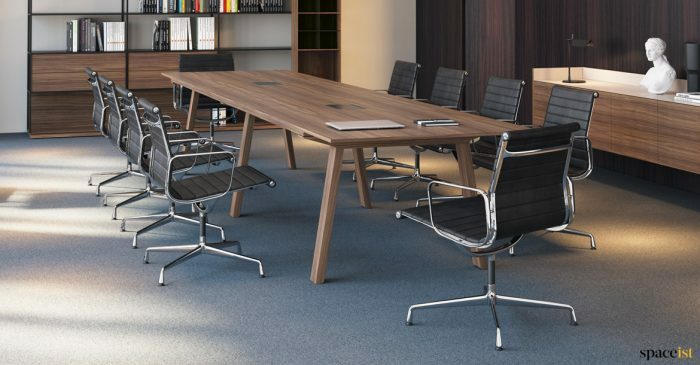 Modern boardroom table with a 2mm real wood veneer top & solid wood legs. 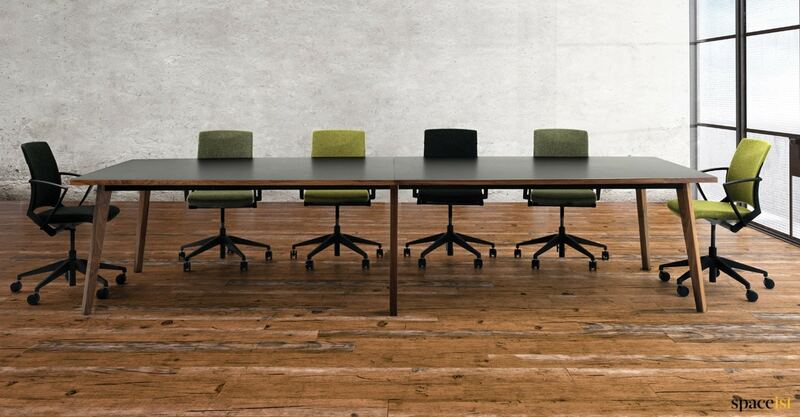 Choose from walnut, dark stained walnut, oak, whitened oak, walnut, ebony, dark grey & sienna grey.